additional information that warranted the female juvenile to be transported to UNC-Nash for medical care. =>12 & => 4 y/o than victim. 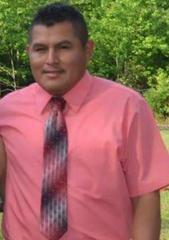 Balderas is believed to have fled the area in a 2005 Chevrolet Colorado Z-71 bearing NC registration CDF-2436. Law enforcement has confirmed that Dante Morales Balderas has fled the United States and is currently in Mexico. Anyone with updated information as to the whereabouts of Dante Morales Balderas is encouraged to call the Nash County Sheriff’s Office at (252) 459-1510.